In 2013, rescuers found Goldie near the Nepal border in India — and they found him just in time. 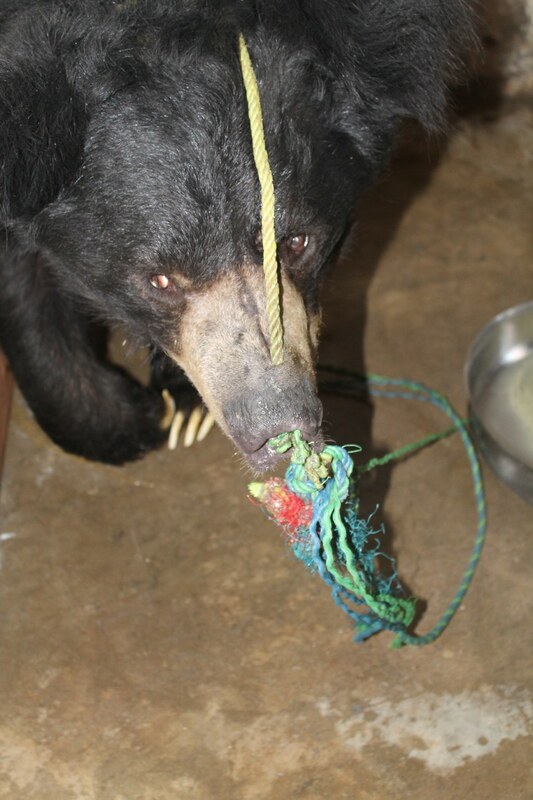 The 5-year-old bear was in bad shape — he was dehydrated and sickly, and he had a frayed rope tied through his nose, which seemed to be causing him a lot of pain. Goldie's handler had been using him "dancing bear," forcing Goldie to perform silly tricks for people in exchange for cash. 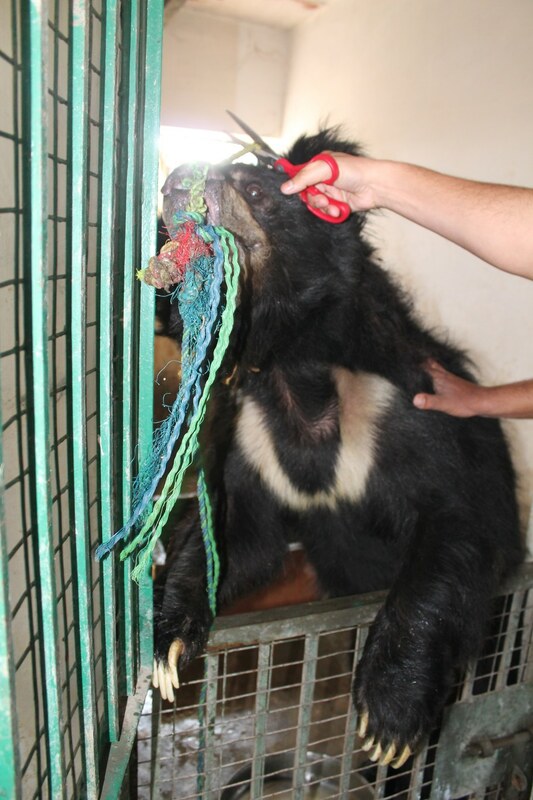 "When the bears are still tiny cubs, their captors make a hole through the top of their snout with a red-hot needle," Lis Key, PR and communications manager for International Animal Rescue (IAR), told The Dodo. "Then a rope is threaded up through their nostril and out through the hole. 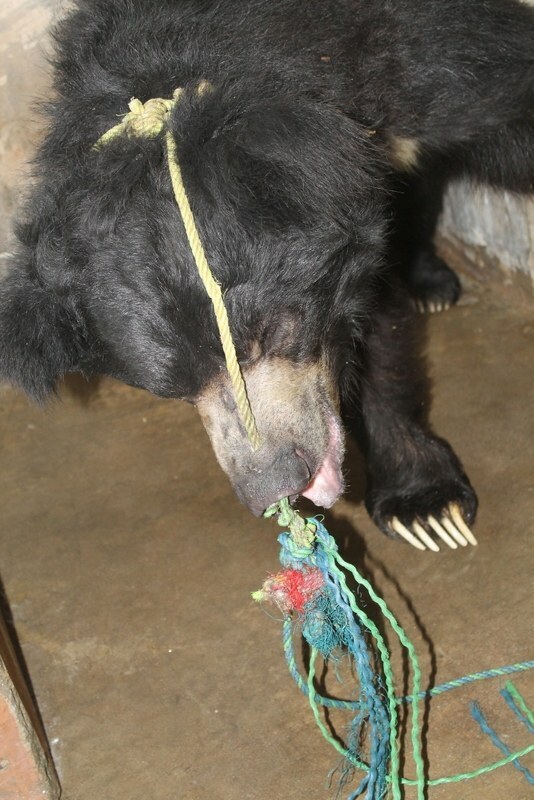 The aim is to control the bear and make it 'dance' by jerking on the rope." 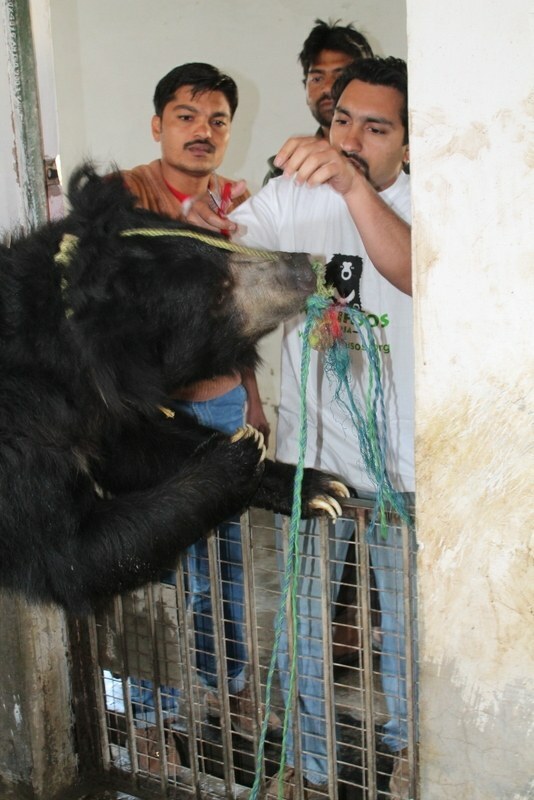 Instead of allowing their snouts to heal, it's common practice for the handlers to keep the wounds open and raw so that the bears respond to pain and obey instructions, Key explained. If this doesn't work, the handlers will try other cruel tactics. "Sometimes thorns or even nails are knotted into the rope to cause even more pain," Key said. "If the wound heals up, the handlers either reopen it or create a new one." Thankfully, Goldie didn't have to live like this forever. 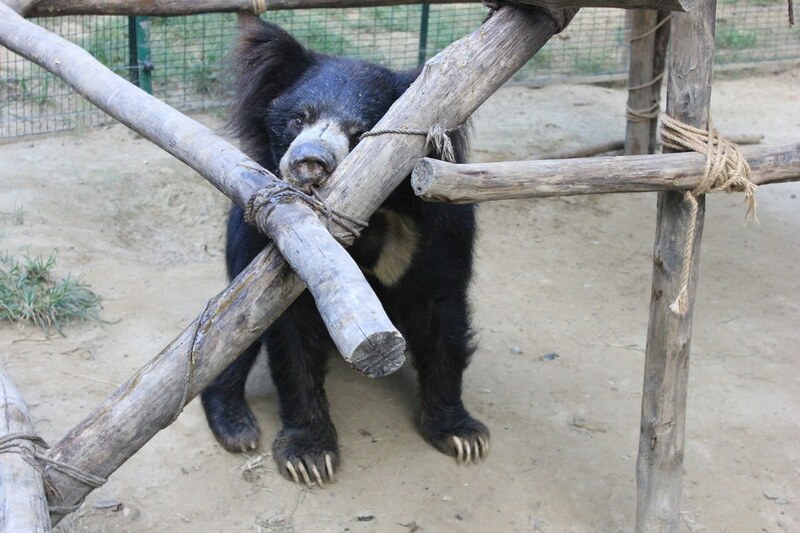 Dancing bears have actually been illegal in India since 2009, so a team from Wildlife SOS, as well as local police, rescued Goldie and three other captive bears — Truffles, Kandi and Oreo — who were found in the same area. 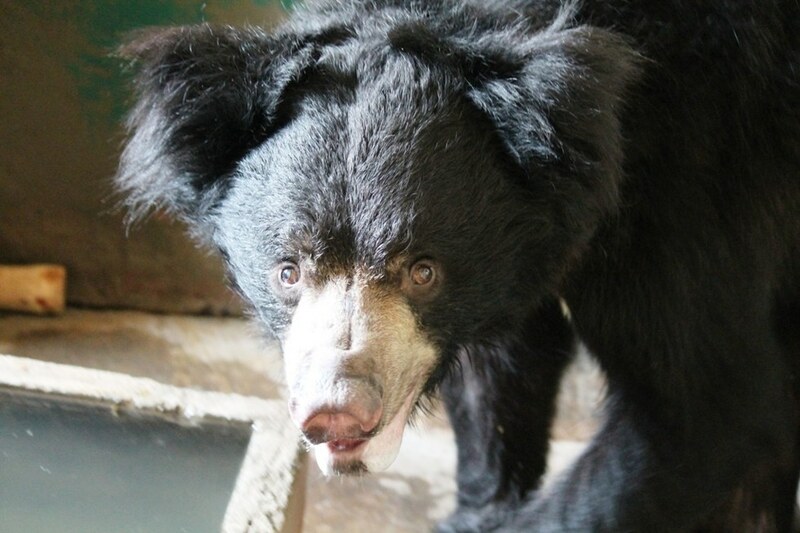 The handlers had been trying to smuggle the bears into Nepal, according to Key. 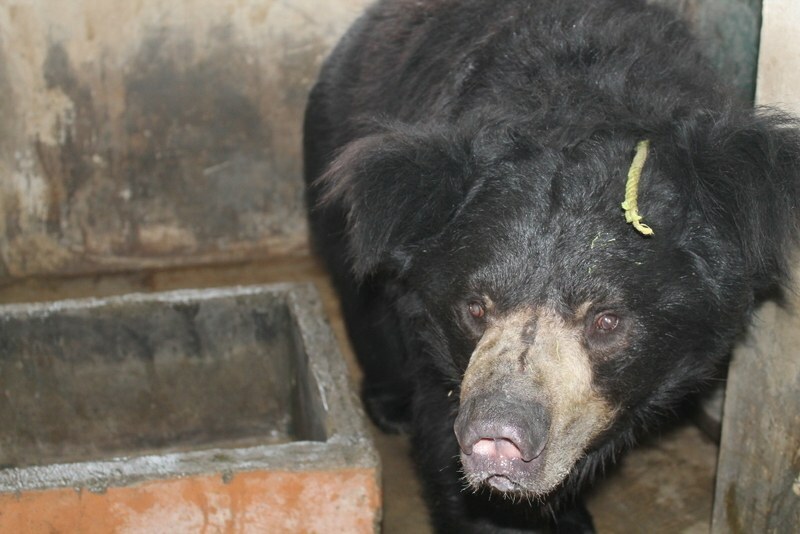 Goldie was then transported to the safety of one of IAR's bear sanctuaries in India, which are run collaboratively with Wildlife SOS andFree the Bears Australia, where he could live in the company of other bears. One of the first things the rescue team did was remove the rope from Goldie's nose. A gaping wound remained, but it would eventually heal. Goldie's teeth and gums were also in horrible condition. "It seems Goldie's handler had made several attempts to knock his teeth out to make him easier to control, and left him with terrible broken and infected teeth and gums," Key said. On top of everything else, the vet team discovered Goldie was blind. "It is either a result of the chafing of the rope across his eyes or from malnutrition, or blows to his head," Key said. The vet team couldn't restore Goldie's vision, but they worked on Goldie's teeth, removing the rotting ones and treating his gum infections. After this, Goldie became a completely different bear. He could finally eat and not feel any pain. 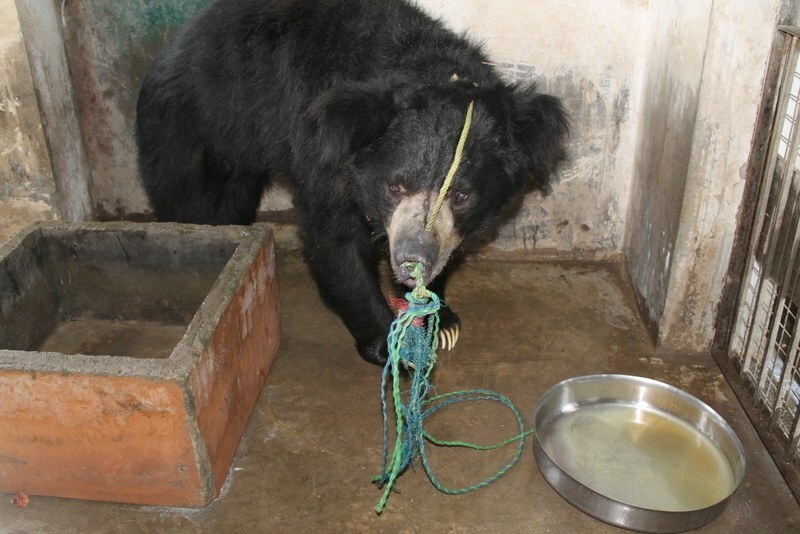 He started taking huge gulps of porridge, cleaning his bowl, and even cleaning the other bears' bowls. "Goldie is very mischievous and loves to try to steal food from the other bears' dens before they get to it," Key said. "He eats his porridge and honey with relish and particularly enjoys treats of coconut chunks and dates." "He likes digging up insects in the termite mounds and lounging in his hammock during the heat of the day," Key added. 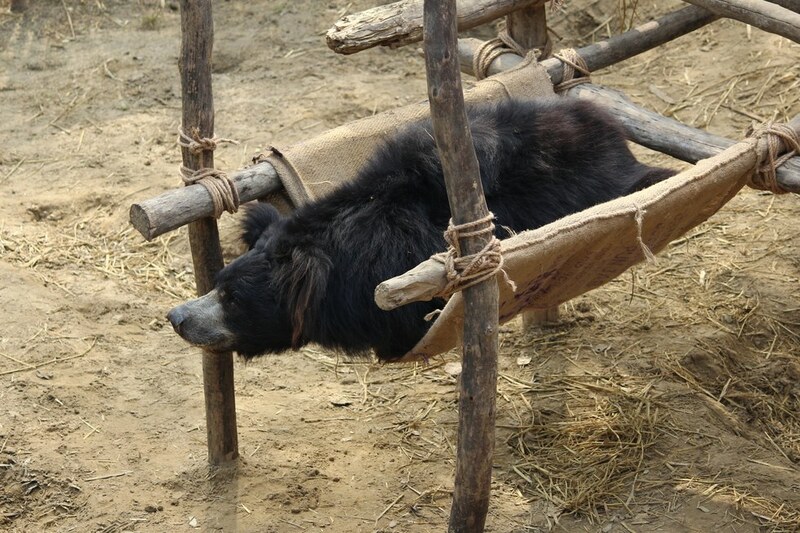 "He's very possessive of the hammock and will tussle with Rocky bear, who often tries to share it," Key added. 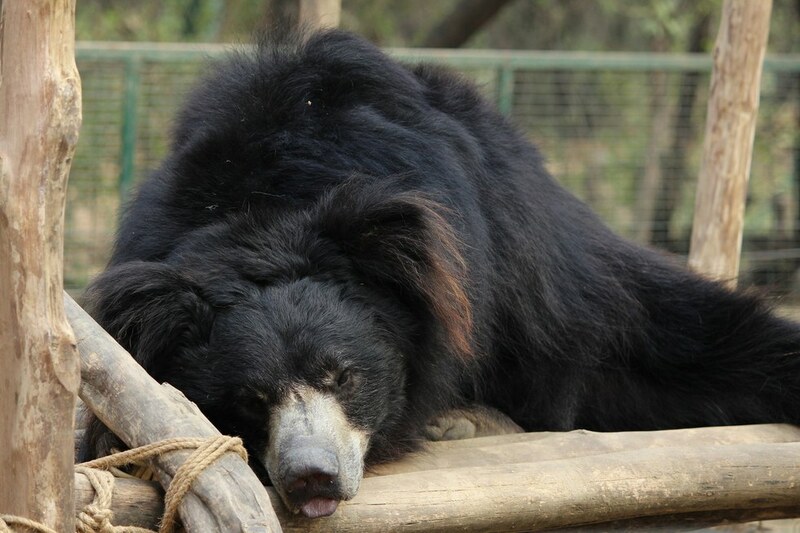 He might steal his friends' hammocks and food, but Goldie doesn't do without anything at the sanctuary. Now he gets all the food, water, attention and care that he needs — and he'll never have to "dance" on the streets again. 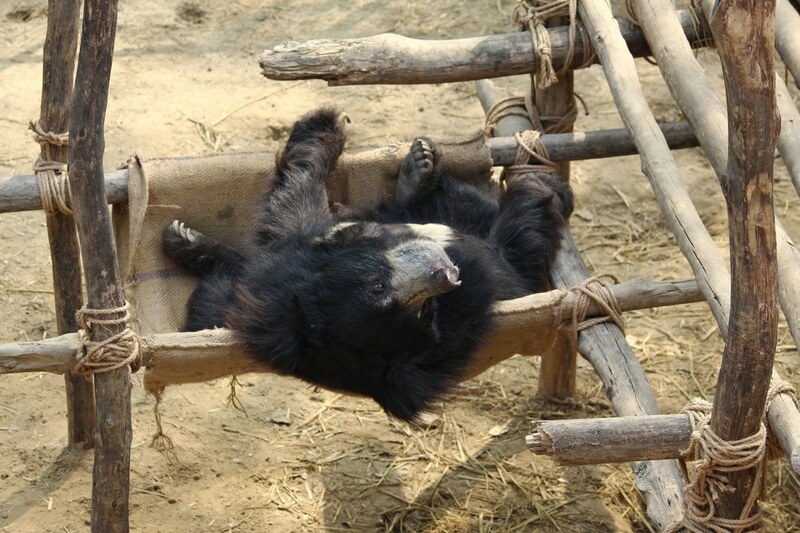 It costs about $1250 a year to care for a rescued dancing bear. 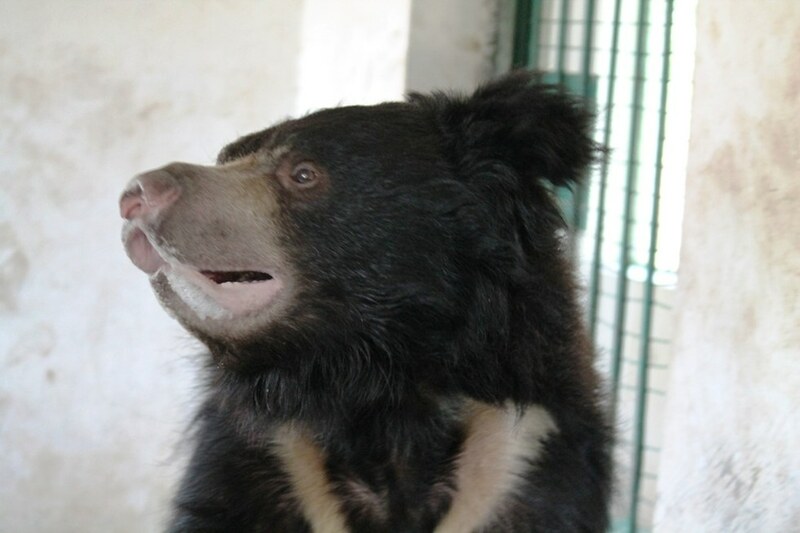 To help Goldie enjoy a happy retirement, and to help IAR, Wildlife SOS and Free Bears Australia rescue other bears, you can make a donation.